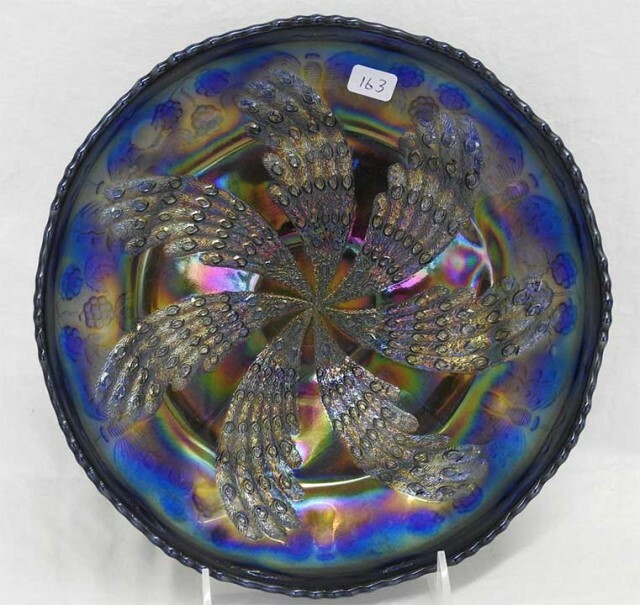 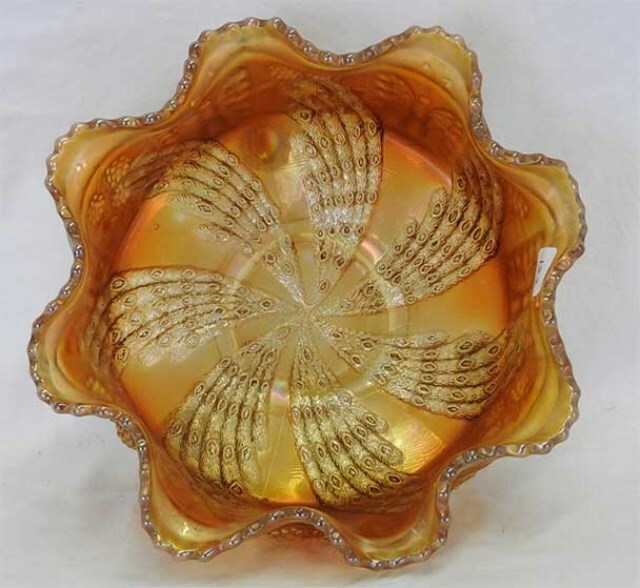 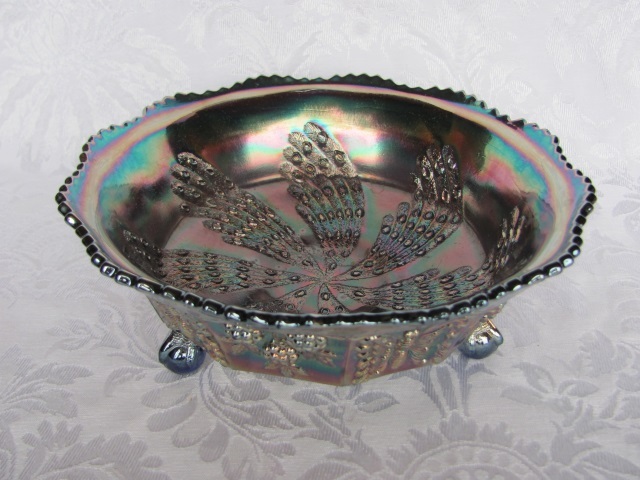 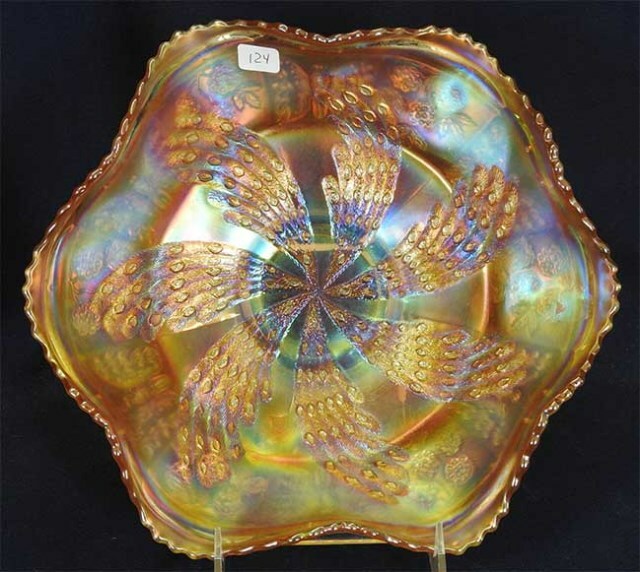 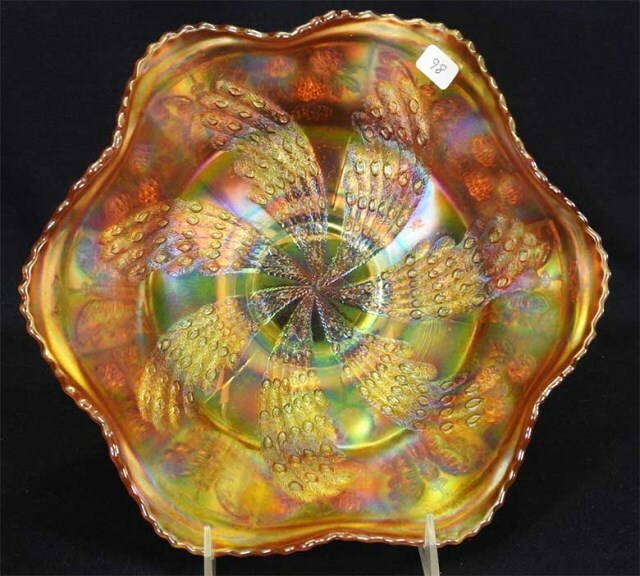 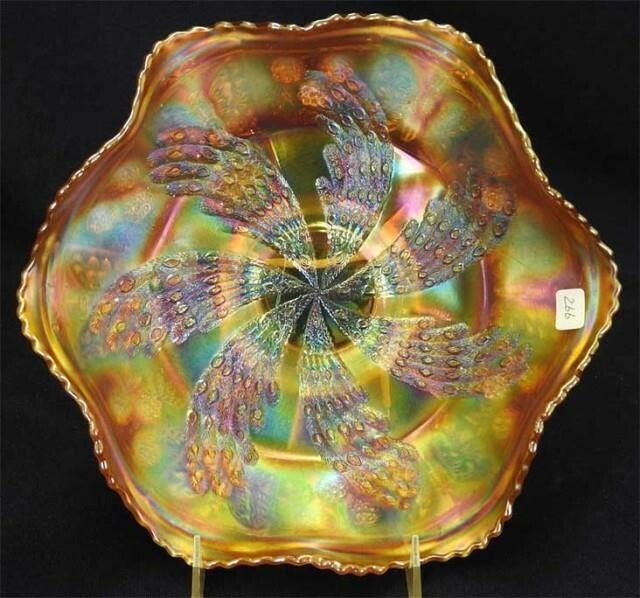 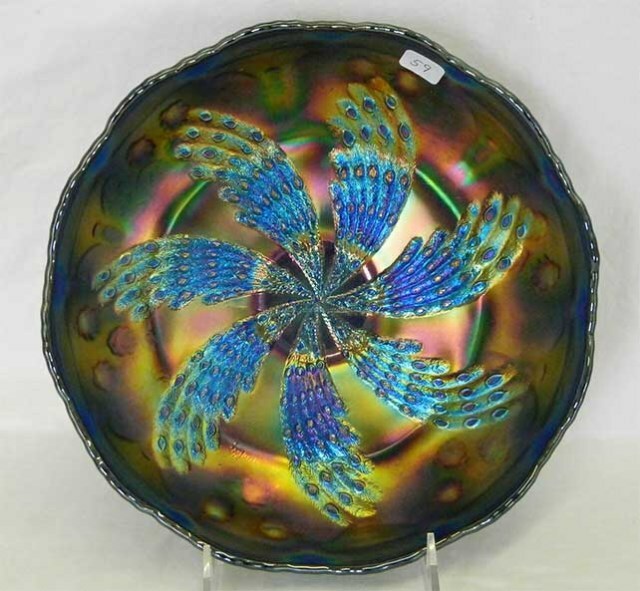 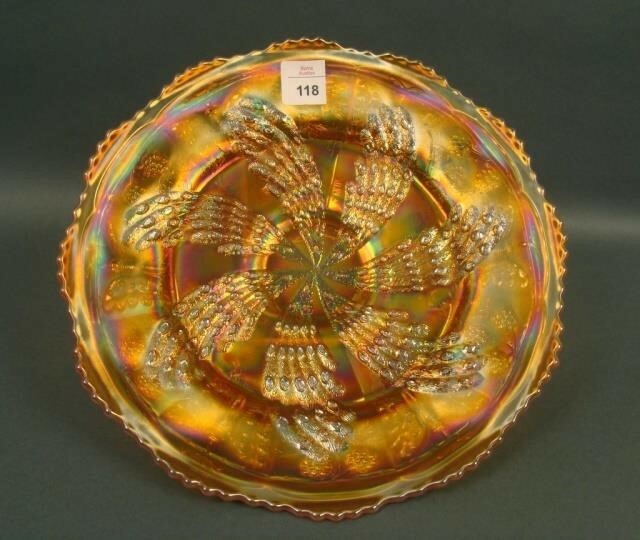 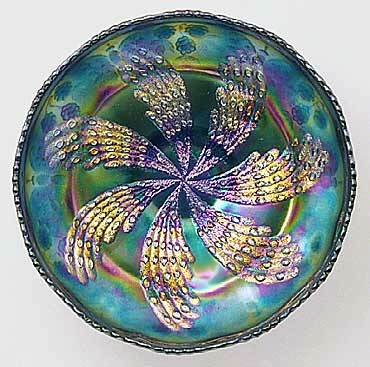 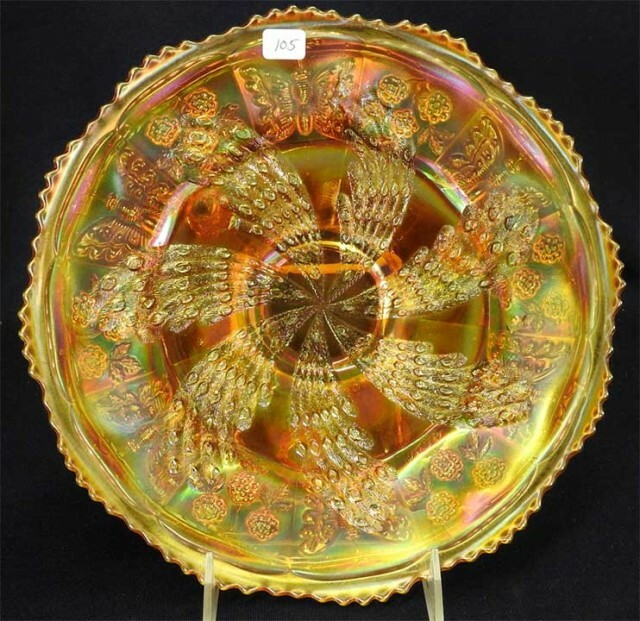 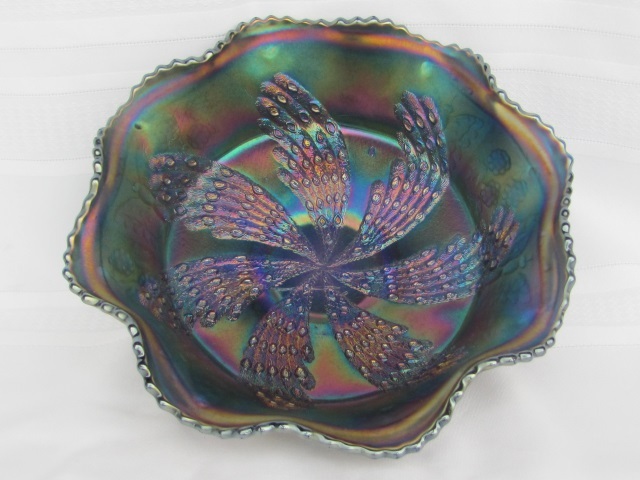 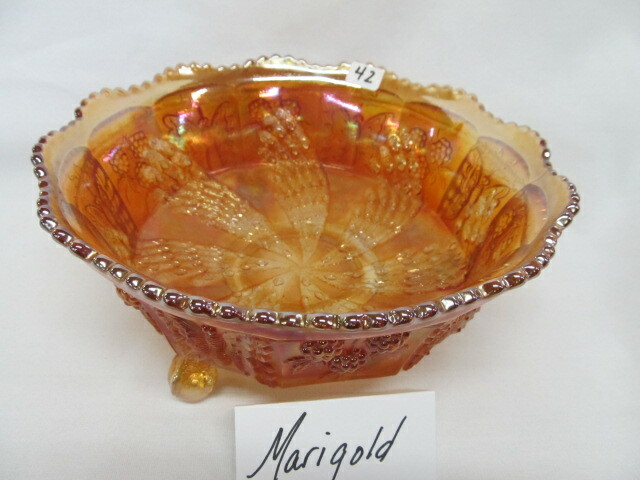 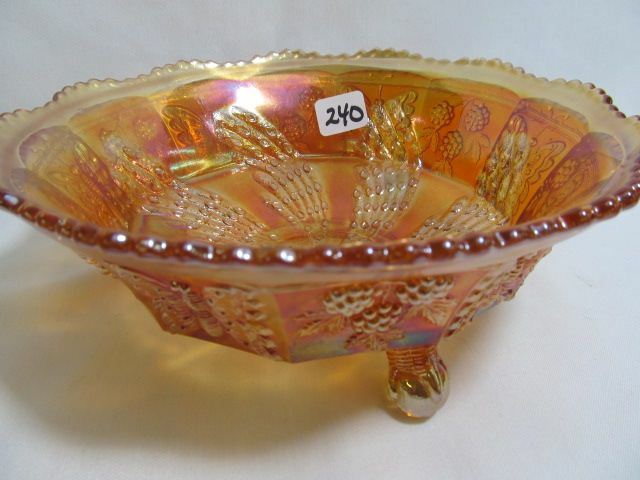 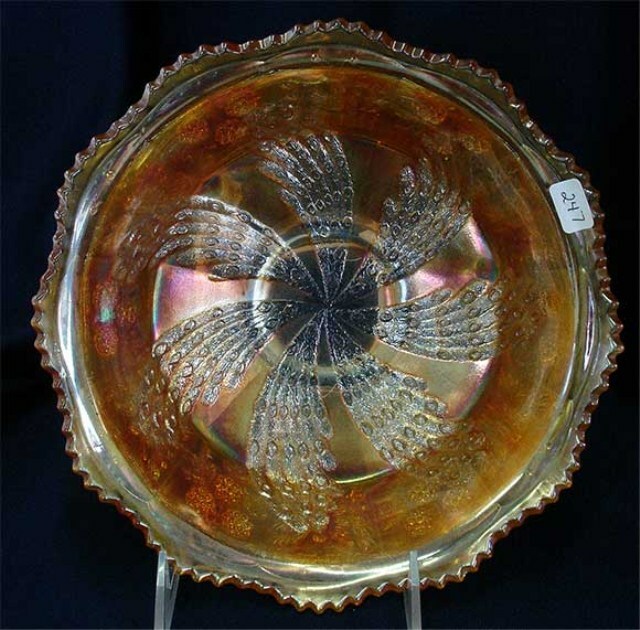 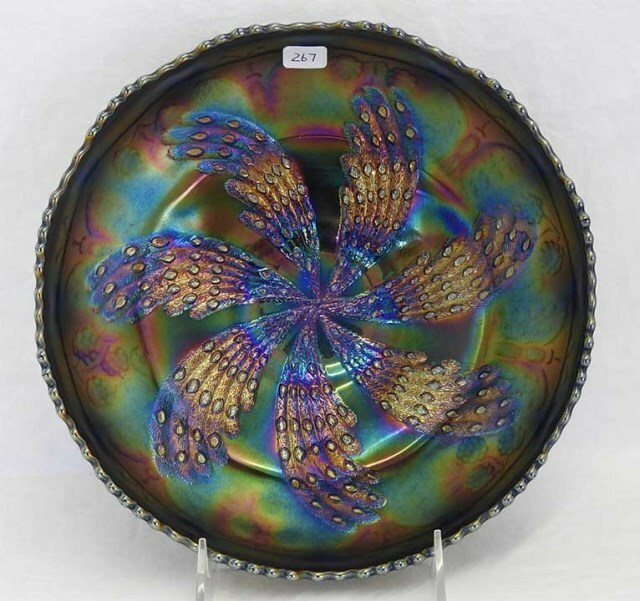 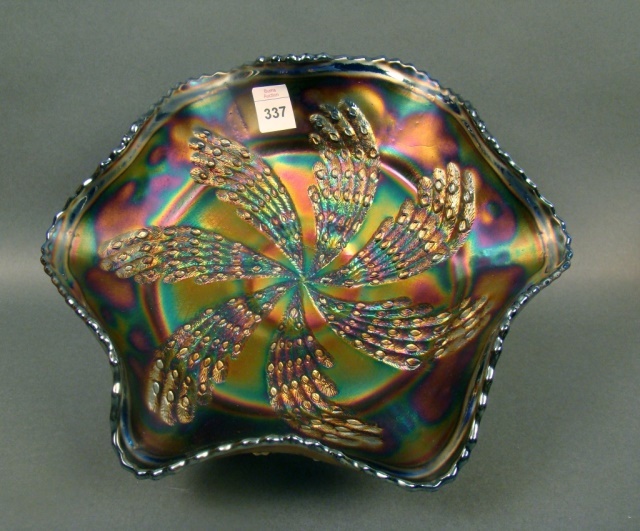 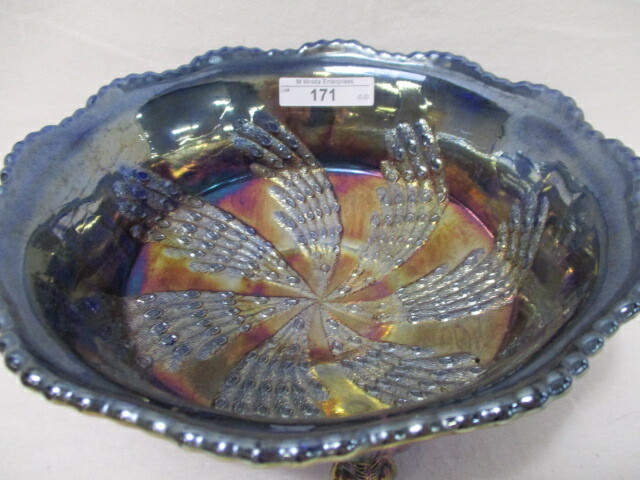 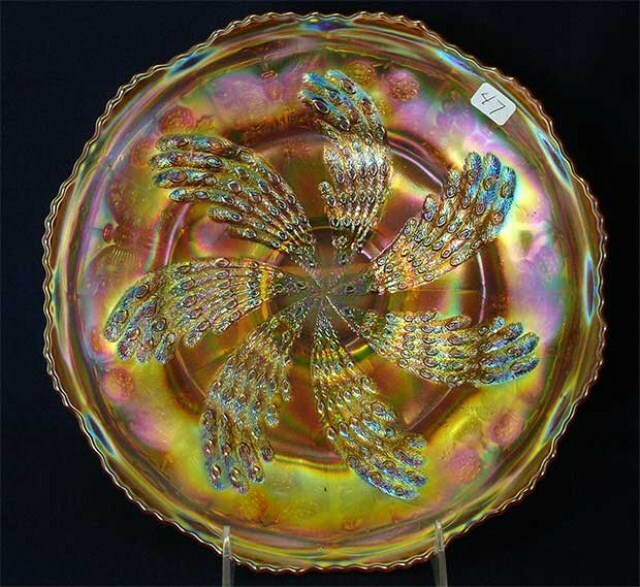 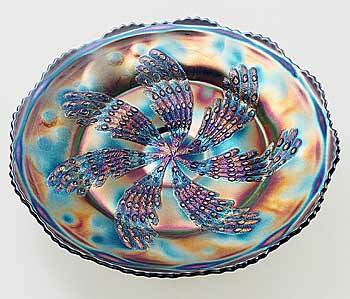 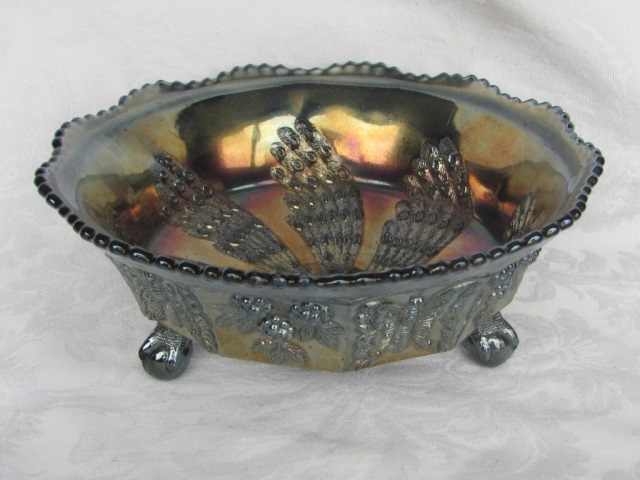 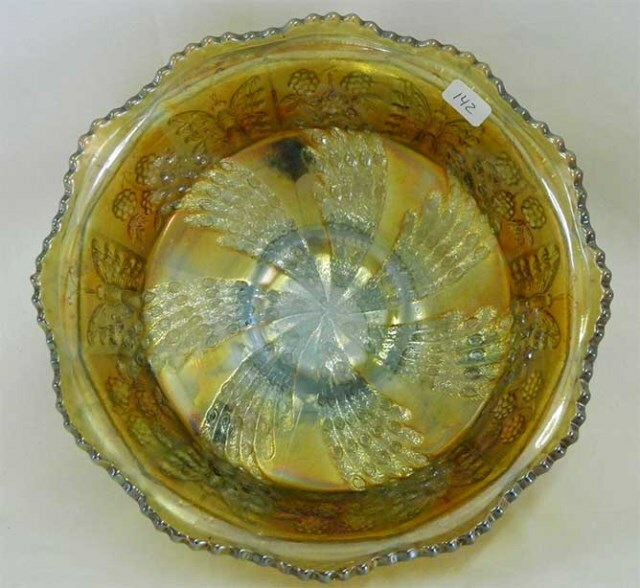 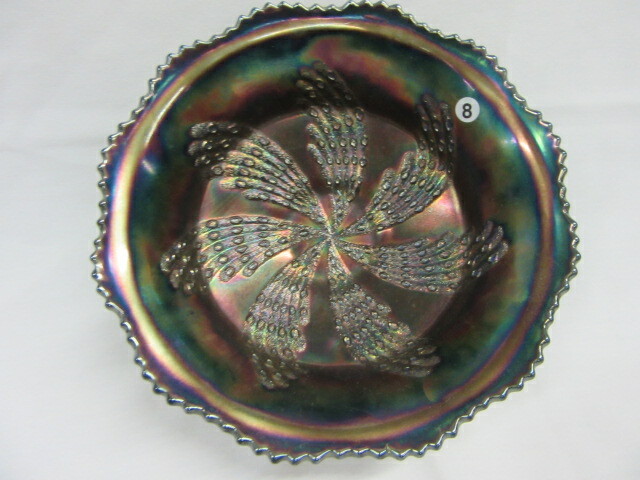 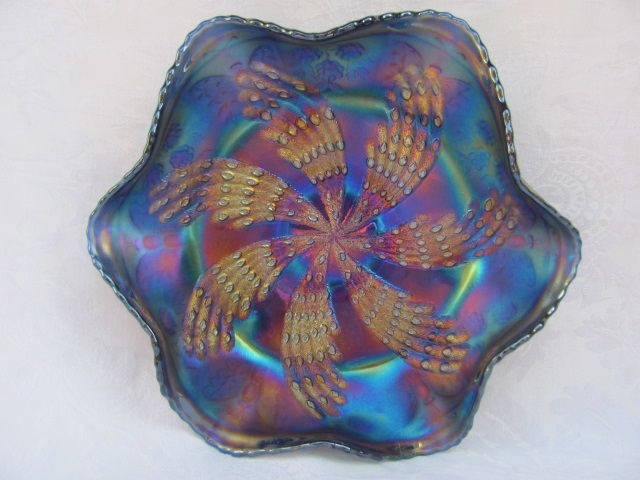 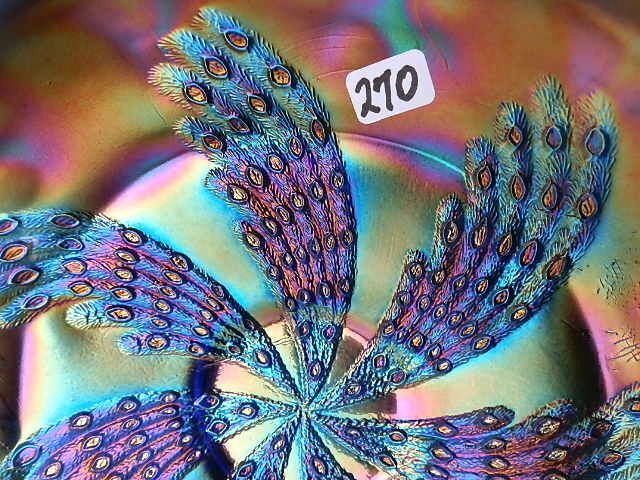 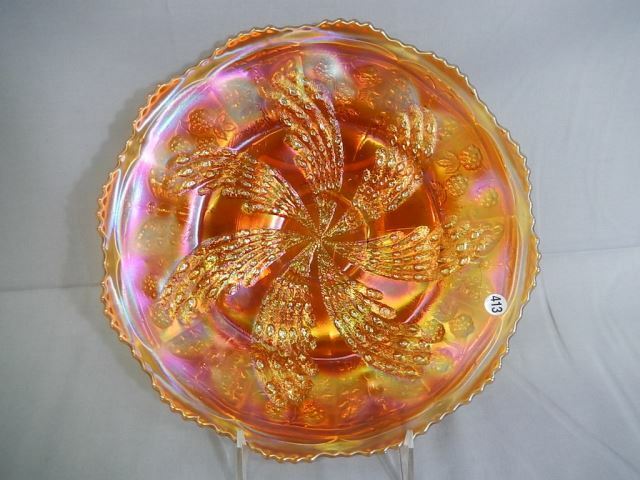 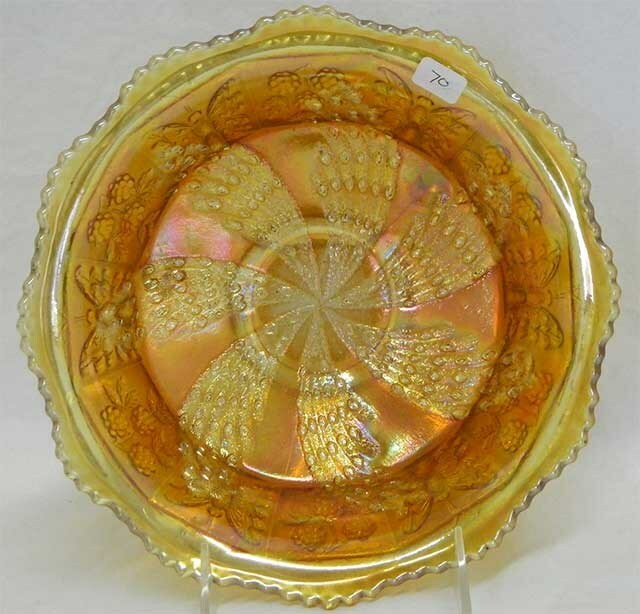 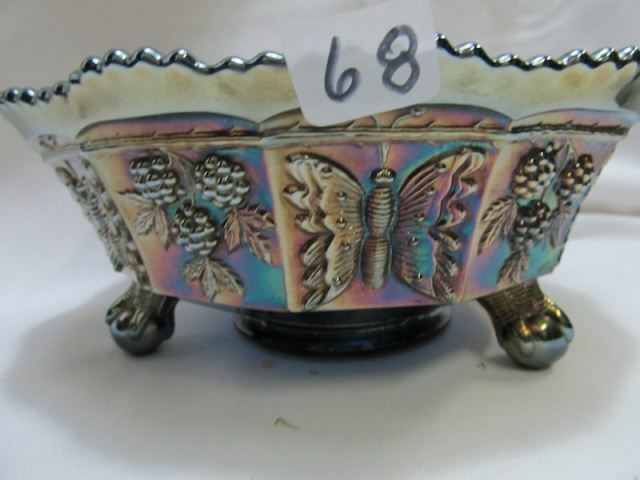 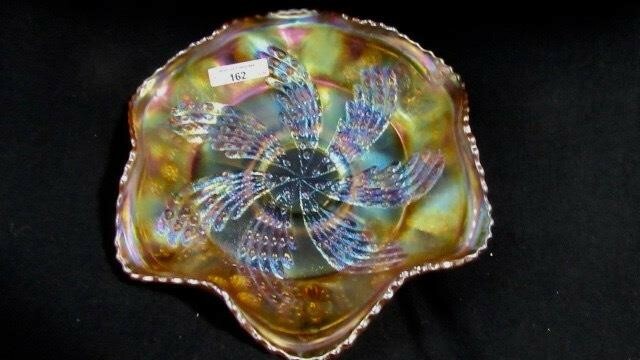 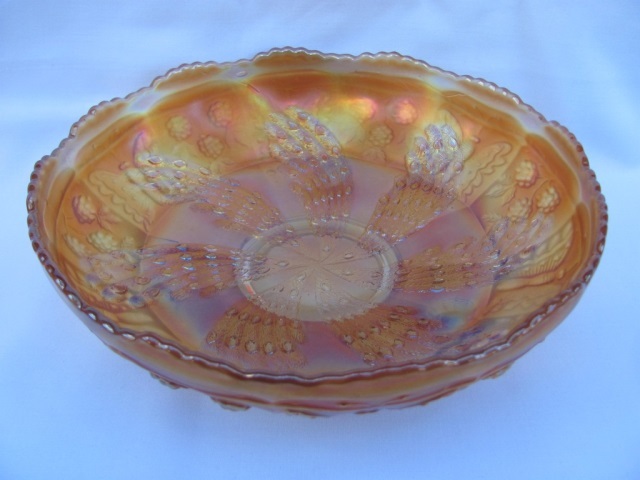 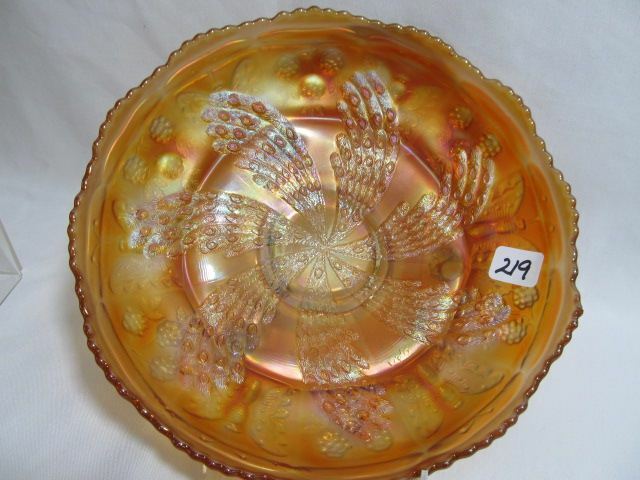 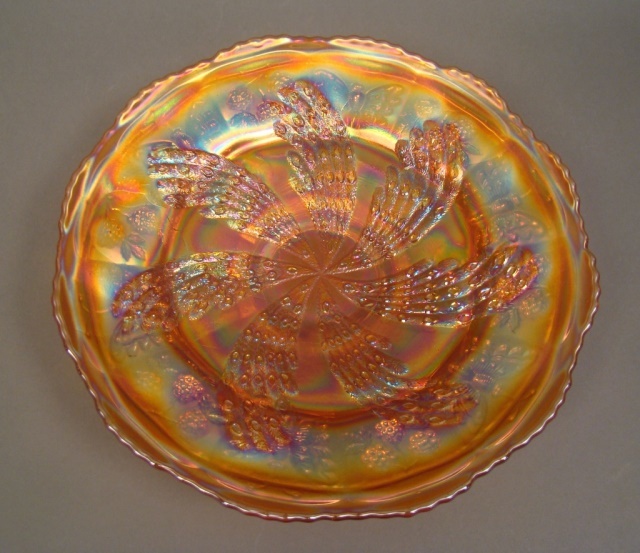 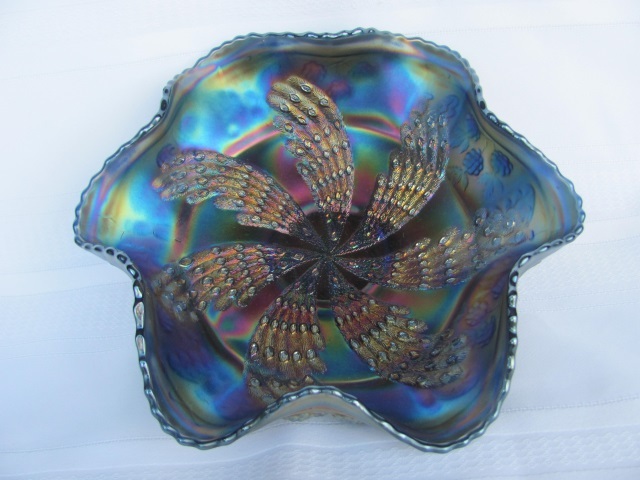 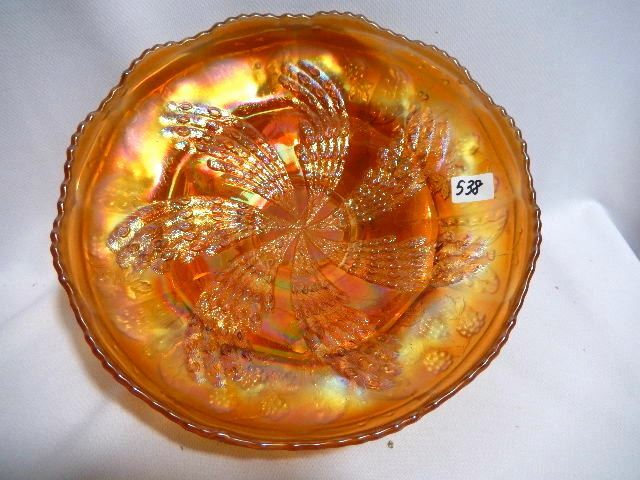 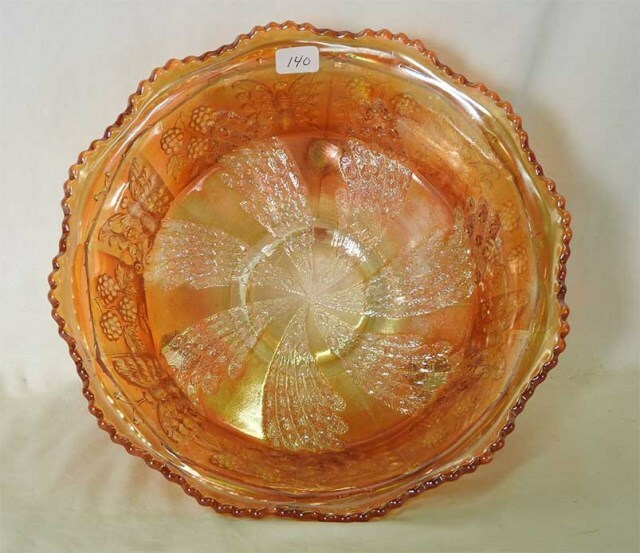 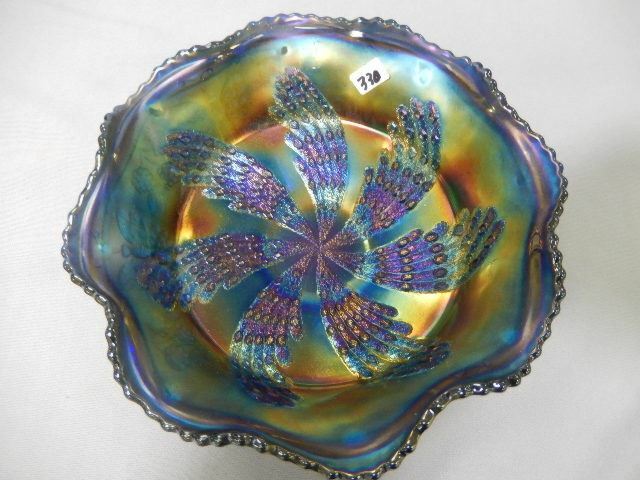 Fantail is one of several Fenton patterns that has the Butterfly and Berry motif on the exterior; there are three ball feet. 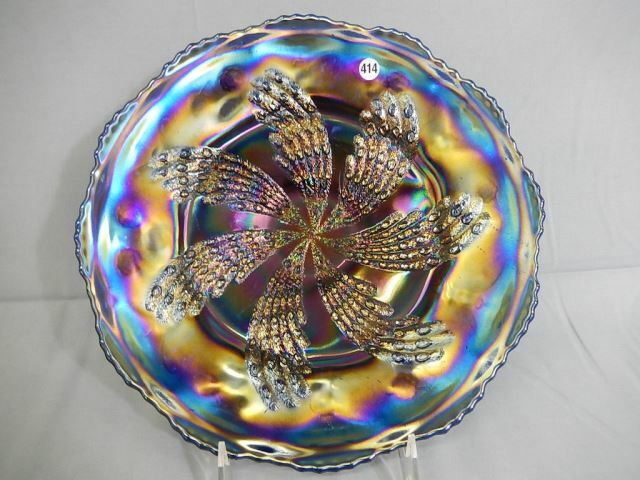 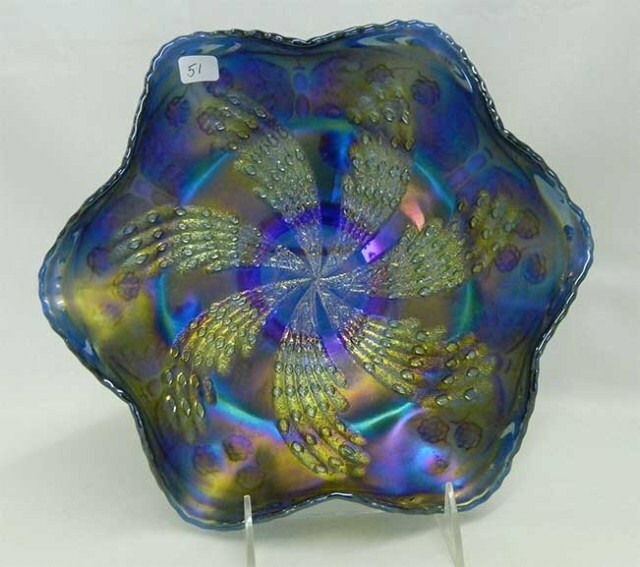 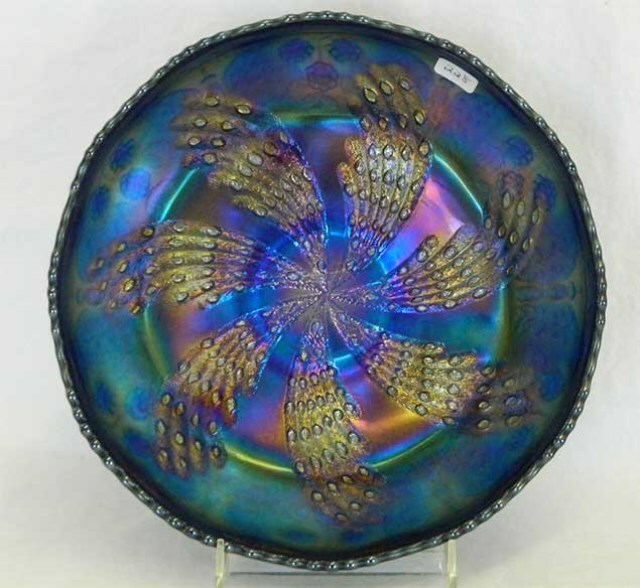 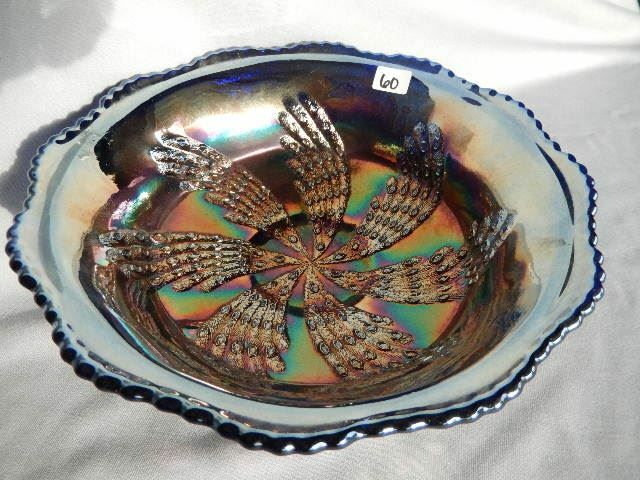 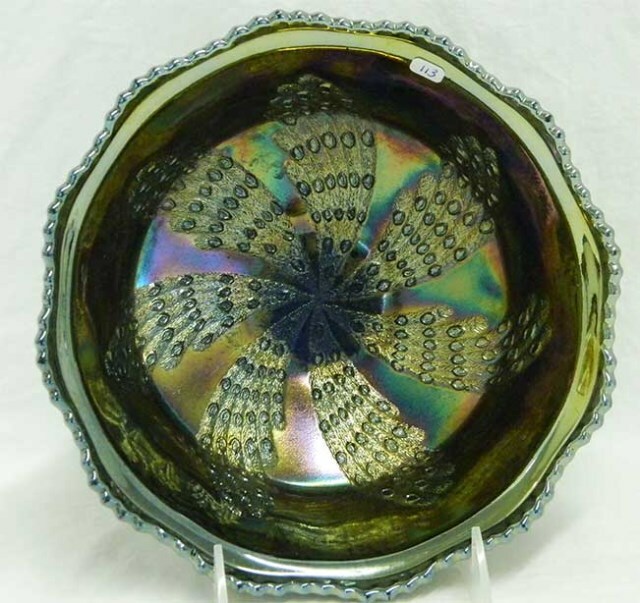 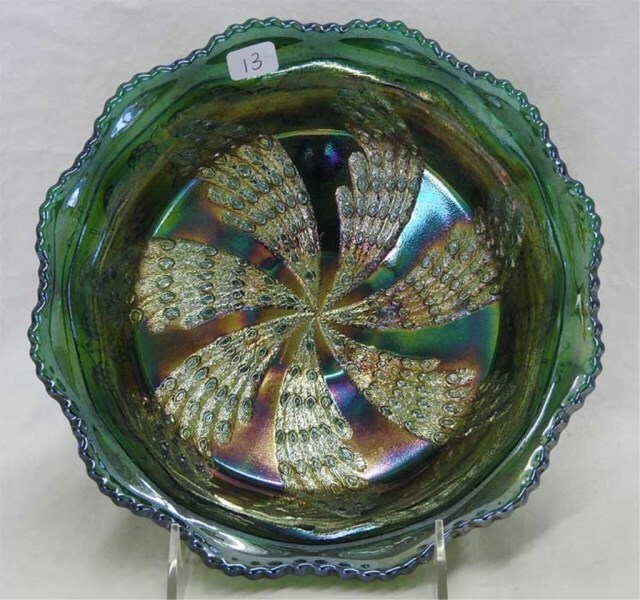 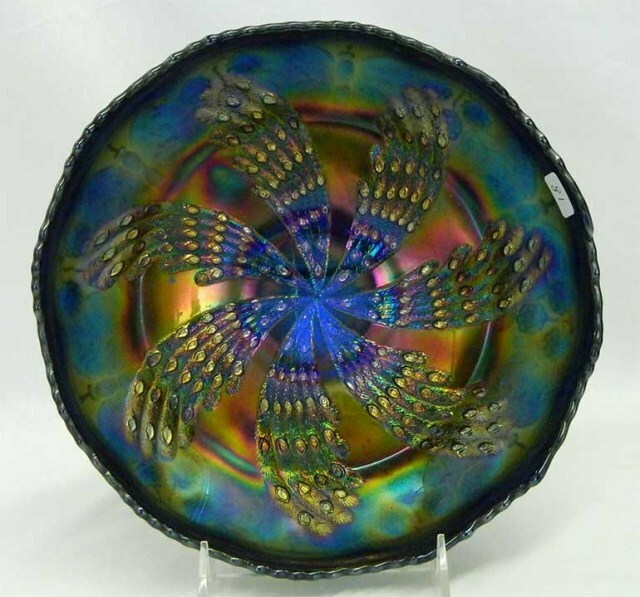 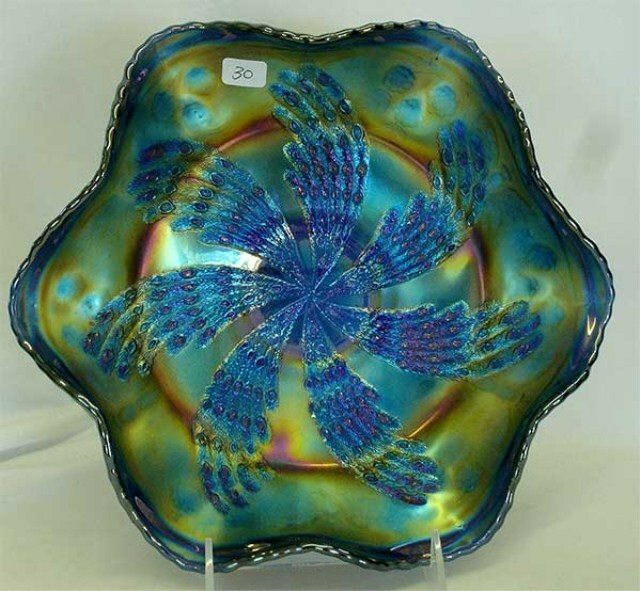 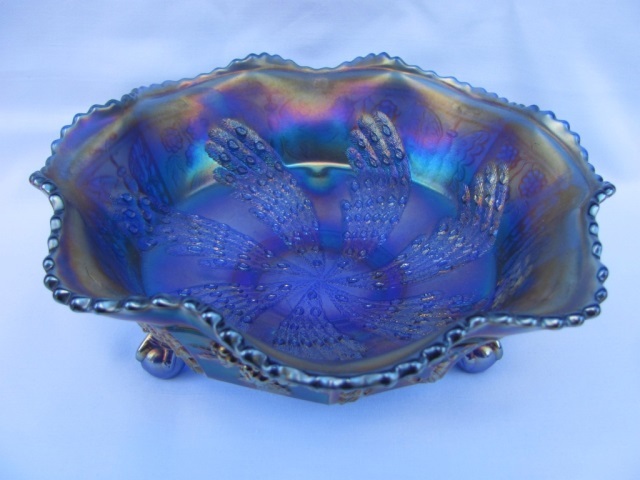 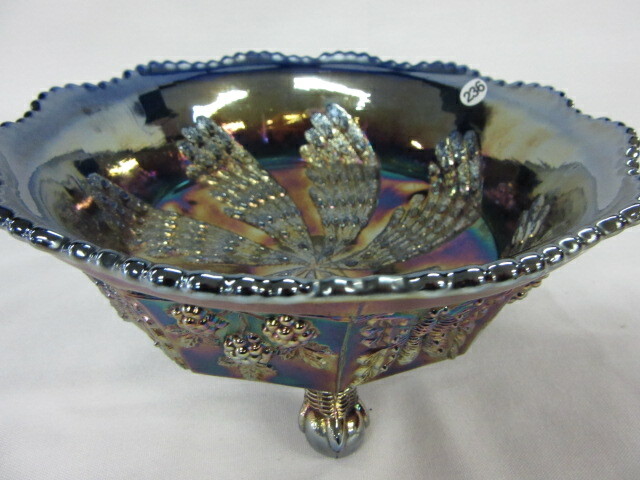 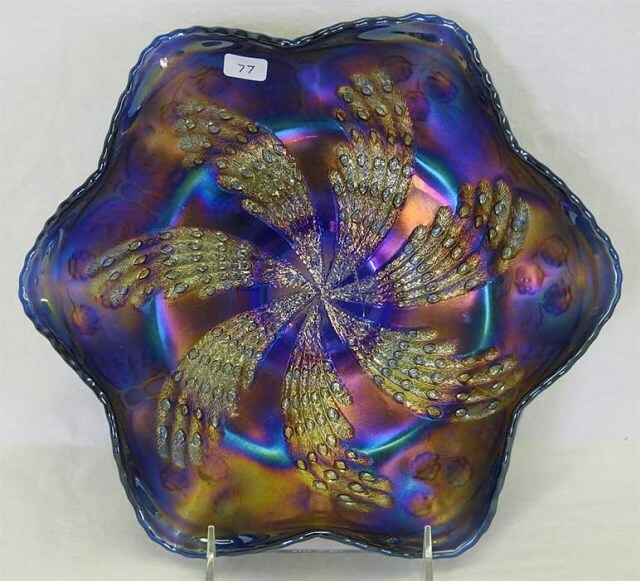 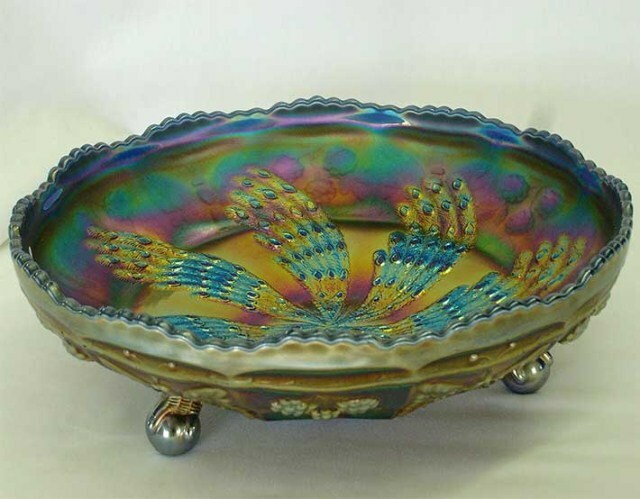 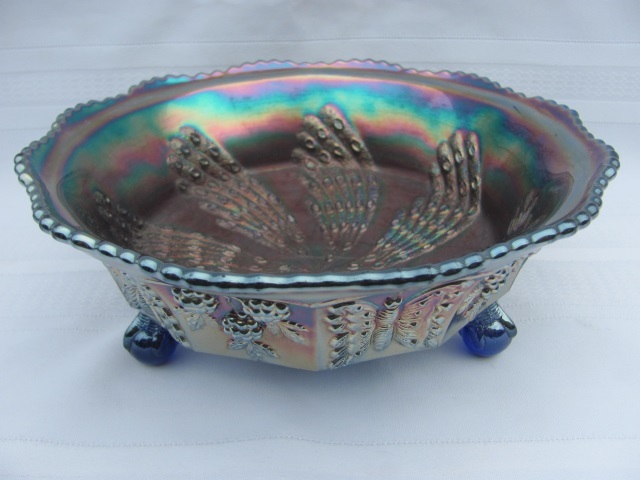 Above are an electric blue ice cream shaped bowl and one of two known blue chop plates. 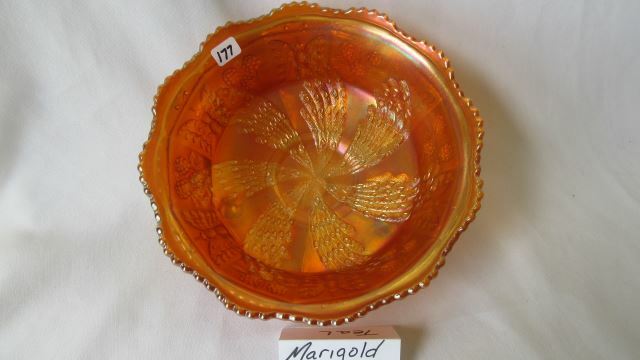 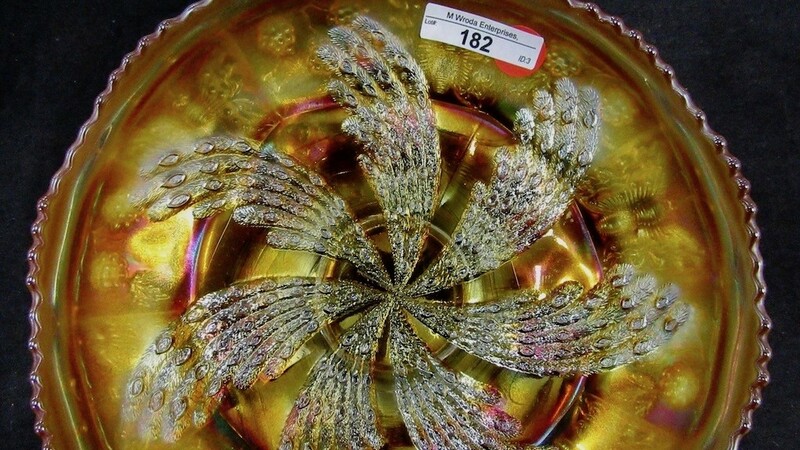 There are also two chop plates in marigold. 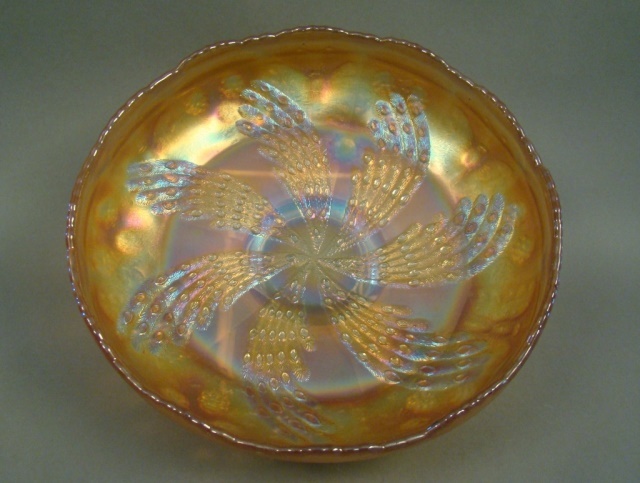 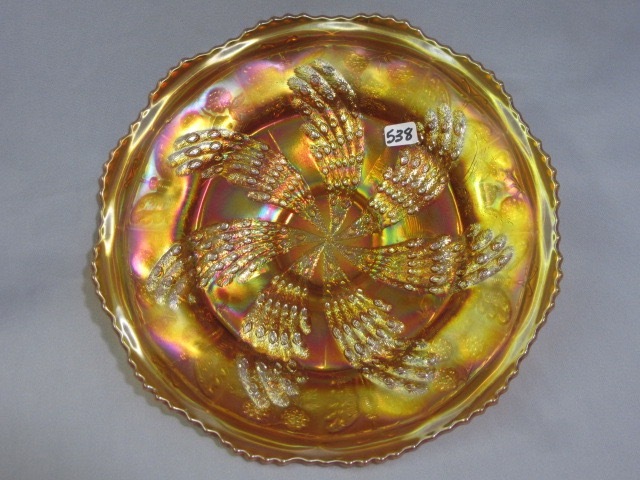 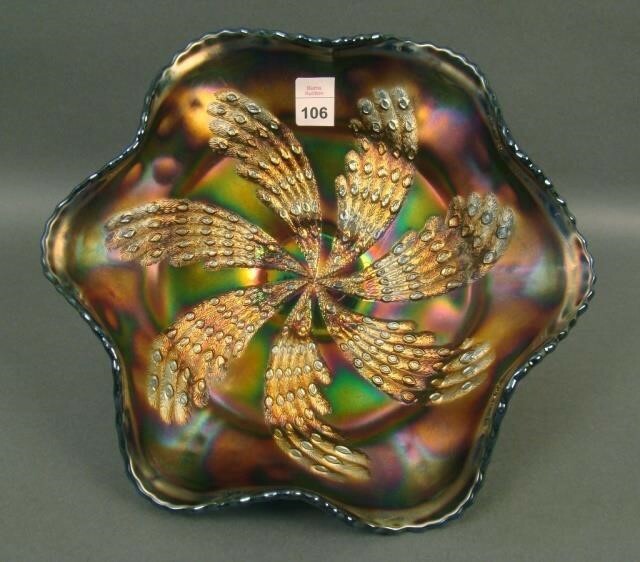 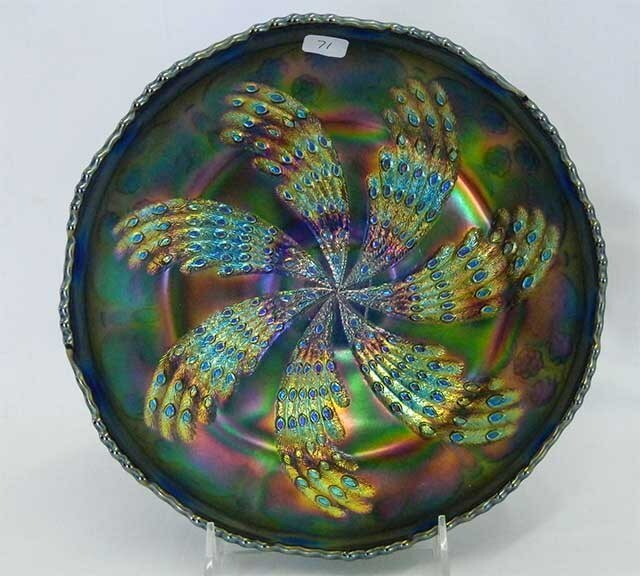 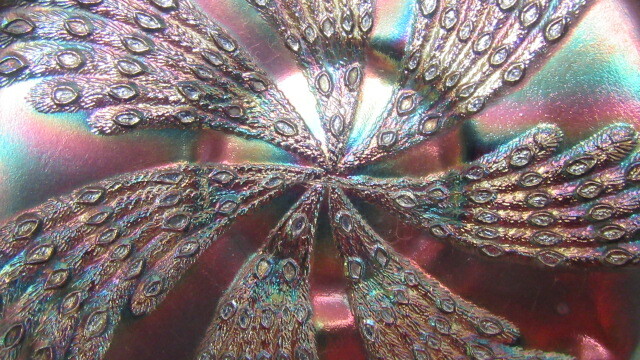 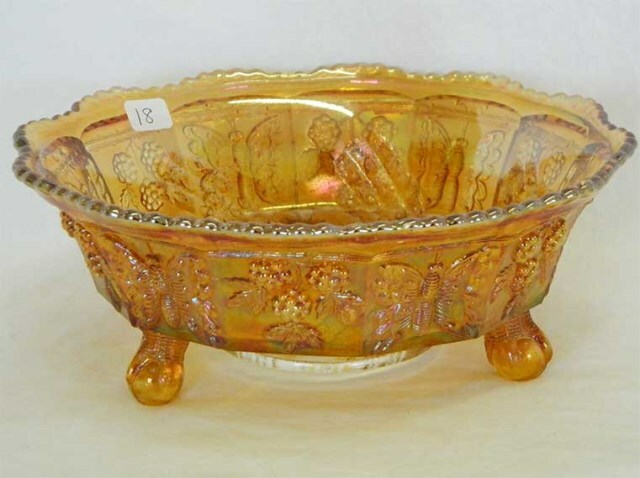 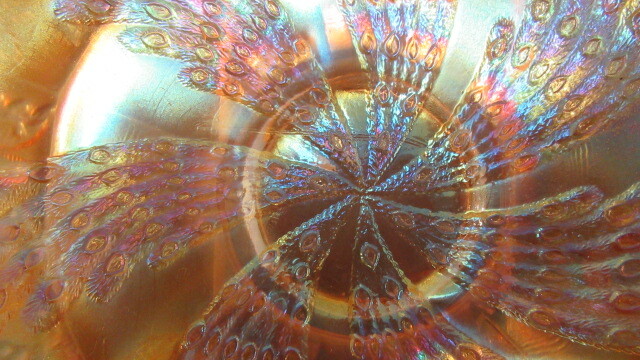 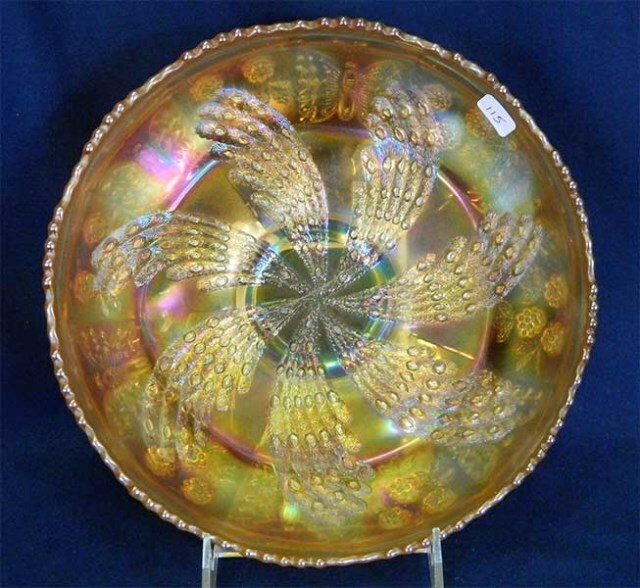 Fenton reproduced this pattern in the 1970s.